Dupuytren’s contracture, also known as Morbus Dupuytren, can be defined as a scaring of the palmar ligament of the hand. The fibrous tissue in the palm thickens and shortens resulting in a progressive and irreversible bending of one or more fingers towards the palm. This deformity is linked to a genetic pool of approximately 5% of the North European population. Eighty percent of the time this disease affects men with an average starting age of 50 years old. Dupuytren’s contracture is more likely to occur in epileptic, diabetic, alcoholic and manual working patients. Considered since its description in 1831 as a surgical disease, its treatment has been revolutionized by the emergence of a new technique : aponevrotomy with the use of a needle. This treatment is a non-surgical ambulatory procedure, it is quick, successful and low cost. Furthermore, it can easily be performed in the city (or during an external consultation) by an experimented doctor. 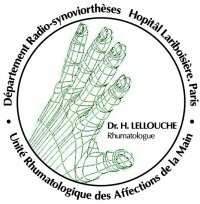 Aponevrotomy by needle was proposed about twenty years ago by rheumatologists from the Laribosière Hospital in Paris under the impulsion of Dr J.L. Lermusiaux. It should nowadays be the first treatment proposed to patients suffering from Dupuytren’s contracture.